Bengaluru FC and FC Goa will cross swords with each other at the Mumbai Football Arena on 17th February for the coveted Hero ISL 2018-19 title. The two sides met each other twice in the group stages of the tournament and, FC Goa came second best both the times. The ISL final isn't about revenge for Sergio Lobera's side. It is about taking the coveted trophy which has alluded them for the past four years. FC Goa reached the playoffs thrice in the previous four editions of the tournament but couldn't get the job done a single time. Bengaluru FC, on the other hand, only joined the competition an edition back and have topped the table in both the occasions. In the summit clash, these five players will have a say whether the title will swing in Bengaluru FC's or FC Goa's favour. 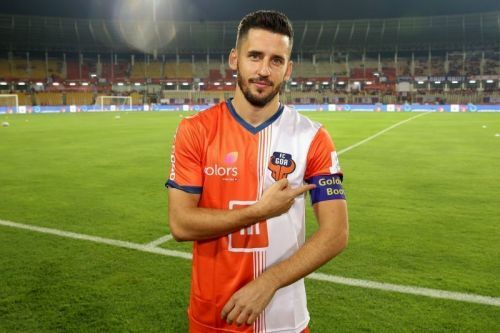 Ferran Corominas is the most deadly striker in the Indian Super League this season. Having already scored 16 goals and 7 assists in 19 matches, the former La Liga veteran has ample experience in India. 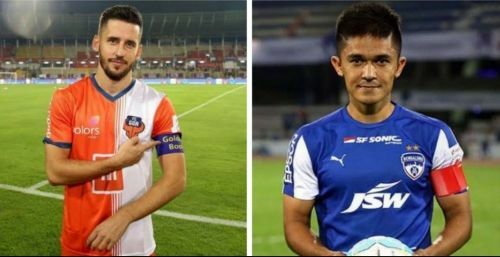 FC Goa's previous two group losses against Bengaluru FC can be attributed to the fact that the Spaniard didn't register a single shot on target. But, Coro knows how to get his way through the Bengaluru FC defence. In the 2017-18 season, he scored the first hat-trick of the tournament as FC Goa defeated the Bengaluru side 4-3. Then, the back four comprised of Harmanjot Singh Khabra, Albert Serran, Juanan, and Rahul Bheke. In the finals, Nishu Kumar might replace Khabra in the back of the line but that shouldn't alter Coro's ambitions. If he gets ample chances to take a shot, Coro would annihilate the opponent. Bengaluru FC defenders should hope that the case doesn't arise.